"Attorney Donald MacNeil saved my career.. I would highly recommend him to anyone experiencing a DUI. Mr. MacNeil was successful with getting my charges reduced..."
"He was very respectful he explained any questions i had. he was straight forward he works hard and he is well worth it. he beat the case hands down and case dismissed after trail… TWO THUMBS UP!!!!" "I was very satisfied with services provided by Donald. He was very professional and very prompt responding to any of the questions regarding the case..."
"highly endorse Don MacNeil. I worked on dozens of cases with Don when I was a prosecutor and he was defending his clients on criminal charges..."
"I endorse this lawyer. I highly respect his legal ability and knowledge. I recommend him to both family and friends and clients whom I cannot serve." 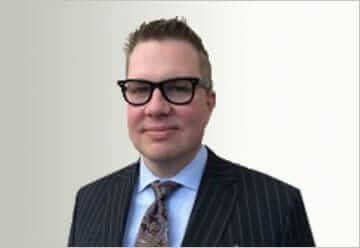 Attorney Donald N. MacNeil founded the firm in 2010 with his father, Donald L. MacNeil, and his brother R. Scott MacNeil. Their goal was to establish a boutique criminal, DUI, and traffic defense firm with an emphasis on producing results in the courtroom, and providing a high level of customer service. Donald N. MacNeil operates as lead counsel for all criminal, DUI, and traffic litigation cases. Don is licensed to practice in both Illinois and Indiana. He is certified by the U.S. Trial Bar and is licensed to practice in all Federal District Courts in both Illinois and Indiana. He is a member of the Illinois State Bar Association, National College for DUI Defense, the Illinois Association of Criminal Defense Lawyers, and other organizations. He is past president of the South Suburban Bar Association. Before starting the MacNeil Firm, Don was a senior associate at a small defense firm with a concentration in criminal, DUI, traffic defense and litigation. He graduated from John Marshall Law School in 1997 after achieving a degree in Psychology from Valparaiso University. Not content to rest on his laurels, Don has traveled the country, attending conferences and seminars to hone his skills in such topics as search and seizure, DNA analysis, and DUI defense. In fact, Don is one of few attorneys to be trained and certified through the National Highway and Traffic Safety Administration DWI Detection and Standardized Field Sobriety program, the same training that most police officers receive. Just one more thing to help achieve a victory in your case. If you’re charged with a DUI offense or a serious crime, it’s time to seek an aggressive defense attorney—one who has the skill to face opposing counsel and ensure your fair treatment. The MacNeil Firm Ltd was founded in 2010, and since then we have worked tirelessly to advocate for the rights of those who face serious charges. Because we serve clients through multiple counties in Illinois and Indiana, we know the intricacies of local courts in those areas. With a MacNeil attorney on the case, you’re on track to secure a victory in your case. Call the MacNeil Firm Ltd at (815) 290-9170 and speak with one of our defense lawyers today about your case. Home > Donald N. MacNeil, Esq.